Parades are rolling in the streets of New Orleans, although "Fat Tuesday" is two weeks away. “When the Saints go marching in” is being heard, beads are being thrown away. The Mayor of New Orleans Mitchell J. Landrieu invites people from all over the world to come to celebrate carnival in his city. the Mayor wrote "As Mayor of the great City of New Orleans, I invite you to visit our city to experience the excitement of Mardi Gras!" 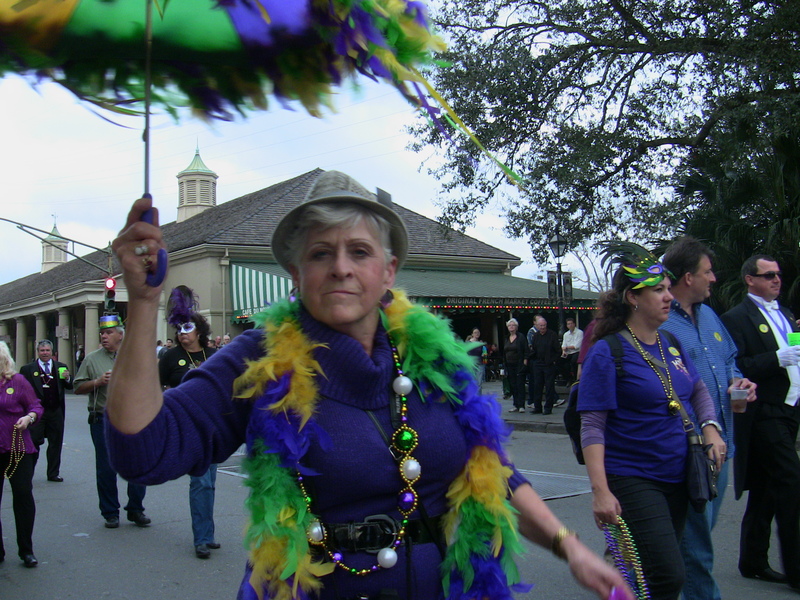 In New Orleans people parade anytime to have fun, drink and to celebrate a special occasion with friends. David Cook, the founder of Krewe Da Max in Jefferson Parish organizes a pre-carnival parade each year to throw beads and have fun with friends. He said, “ Work in the streets, throw some drinks, throw some beads, and spread the Mardi Gras joy.” Krewe Da Max is not a band, it is rather a group of friends. Cook has been organized this parade for 18 years. For Jennifer Jones, carnival is the spirit of New Orleans. Carnival is one of the most popular celebrations in New Orleans. It attracts thousands of tourists from all over the U.S. and around the world. It helps to boost the New Orleans economy. Carnival is the day prior to lent. Lent is the holiest in the Catholic Churh. It is a forty-day penitential preparation before the celebration of the resurrection of Jesus-Christ. New Orleans is the greatest party place in the world!! I really miss it! I went there last summer and it seemed like people drank 24/7, being from England we definitely fitted into the culture!! I'm going back again next year, just booked my holiday with http://www.directline-holidays.co.uk/ so now just hyper to visit!